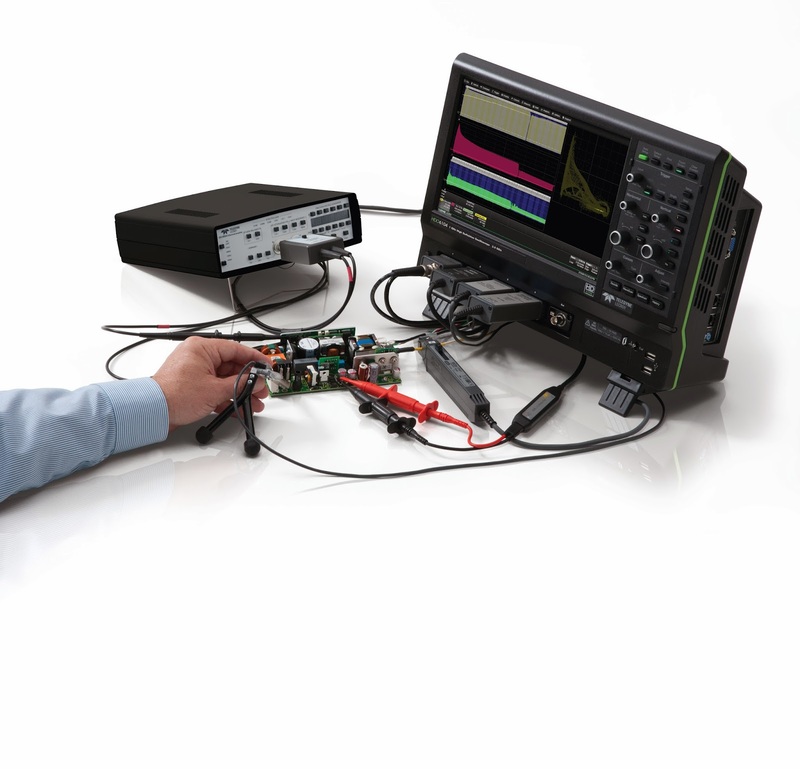 General-purpose single-ended probes (whether active or passive) can only accurately measure "ground-referenced" voltages. The problem is that it's not always clear what "ground" means in a given situation. Some measurements require probing test points reference to each other, whether one of them is true earth ground or not (Figure 1). One example is VDS of a FET in a power supply; another is a serial-data link, when one is probing the positive and negative data lines of a differential signal. There are various types of differential probes that meet various classes of applications. Among the most common are high-bandwidth types, high-voltage types, and those with high common-mode rejection ratio differential amplifiers. High-bandwidth differential probes, as their name implies, are best suited for applications such as probing differential serial-data lines. Teledyne LeCroy's high-bandwidth models range from 13 GHz to 25 GHz. High-bandwidth probes need specific characteristics to function effectively: high dynamic range at the higher bandwidths and large offset capability. 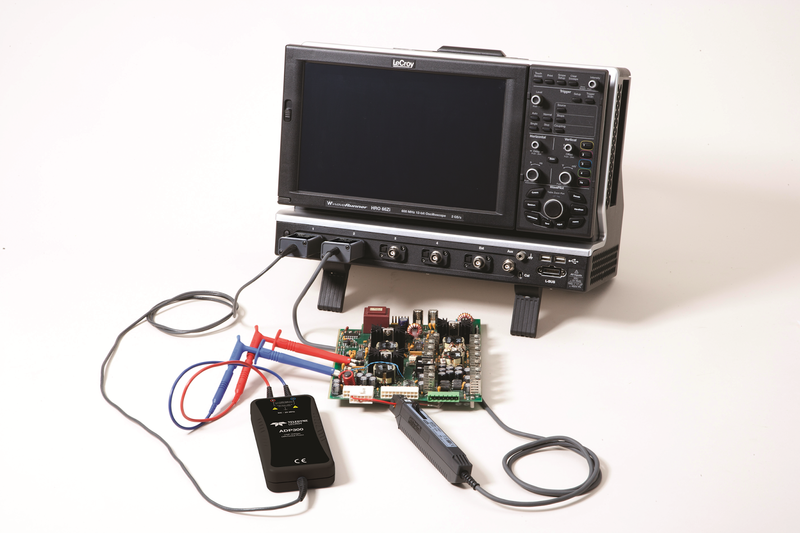 Another must for such probes is extremely low probe noise and impedance characteristics that minimize loading. High-voltage differential probes (Figure 2) also are self-explanatory and, in Teledyne LeCroy's case, are built to handle common-mode voltages up to 1kVRMS and 1.4 kV peak differential voltages (model ADP305). Such probes are suited for troubleshooting of low-frequency power electronics in cases where ground is elevated, or the location of true earth ground is unknown. When looking at high-voltage differential probes (or any high-voltage probes, for that matter), be mindful of safety ratings. Now might be a good time to mention common-mode rejection ratios (CMRRs). Common-mode rejection is the ability of the differential amplifier (which sits between the oscilloscope and probes as a signal-conditioning preamp) to eliminate the common-mode voltage from the output. Now, the ideal differential amplifier would remove all of the common-mode signal, or the voltage common to both sides of the differential pair. will sport very high CMRR ratings. Common-mode voltages can come from numerous sources, including an ambient radiated signal coupled into both lines, an offset from signal common created by the driver circuit, or a ground differential between the two ends of the differential circuit. Regardless of its cause, it's not the common-mode voltage that's of interest, but rather the differential voltage. Thus, the measure of how good the differential amplifier is at getting rid of common-mode voltage is its CMRR. Be mindful that the CMRR of an amplifier changes with frequency. High-performing differential amplifiers start at very high CMRR ratings of as much as 100,000:1 and can maintain high CMRR values over a wide bandwidth. Meanwhile, high-voltage differential probes will provide good CMRR at DC but as signal frequencies rise, CMRR deteriorates.